#Paper Pattern or Format #What Is Asked? We had a discussion on written test examination of FTII Feature Film Screenplay Writing which was taken in August 2015. We seen the type of the questions and format of the paper. That was difficult and tough task. The next step after the written exam is Orientation and Interview which is conducted in FTII Pune campus. We will discuss what actually happens in this part or we can say filter. 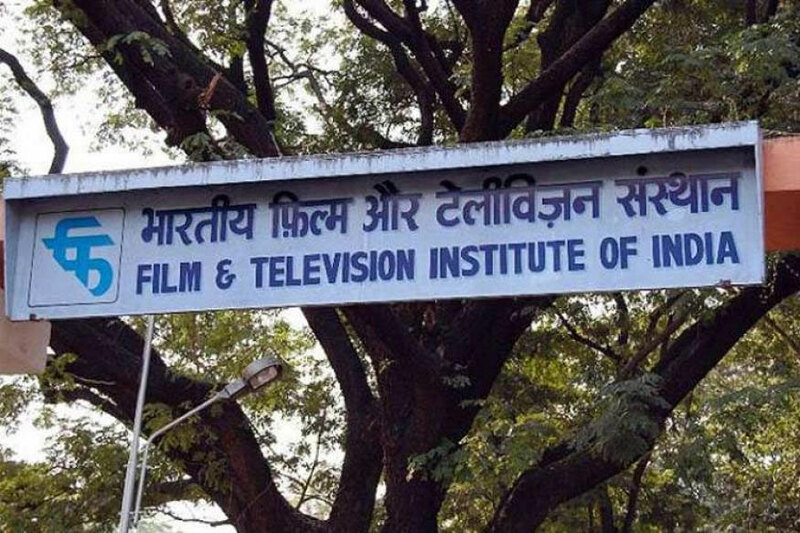 FTII (Film & Television Institute Of INDIA) gives you quality education and which is one of the top most institute in INDIA regarding the creative field of FILM INDUSTRY. There are lot of people who come for the written test. Means not only National but also International artist (struggling) likes to learn in this reputed institute. Out of these crowd only 40 people get selected for next stage/filter; we call it as Orientation & Interview. The schedule of O&I (Orientation & Interview) is of about 4-5 days. On the first day you have to verify your all the educational documents and need to submit self-attested copy of the document to the institute. This is fist important, necessary and compulsory stage. If you don’t have proper documents then, in any case, you are not allowed for further tasks. So, keep all the important documents in original and in self attested copy with you. Keep two passport sized (not selfi type) photographs with you and original identity proof as well. After verification is done then actual work get started. Firstly, some external faculty who is an industry professional; a well-known film writer conduct a lecture. It is mind blowing and amazing thing. Your all concepts regarding writing, movies gets upto mature level. This is 2-3 hours lecture or we call it as conversation which is very important for the newcomers. After this lecture faculties of the institute gives you information about institute, writing, course and just informal talk. This is first day. Either on first day, in the evening or on second day, they will show you a movie. Generally, naturally the film is art film, independent film and like those things. This is FTII. Here you will not get masala or entertainment movies. Some people feel guilt if they make a joke or comedy scene in a movie…hahaha… This was a joke…. Leave it…. Don’t dare to ask which movie they shown to us. Second day is very important. Whatever film they had shown to you, the assignment is given on that topic. Type of the assignment may be whatever, you cannot get prepare for it. Emotions come through the heart and thought comes through the writers mind!!! Just be with yourself. Do the things that you feel correct. Third important part of the orientation is group discussion. The topic of group discussion is not fixed. They make four groups of students. Means each group is having 8-10 members. Each group goes in front of panel. Ok. I forget to tell you that, there is a panel of 5-6 members, to whom we can call faculties. These people are direct or indirectly related with the FTII. One of them is lecturer at the institute for feature film screenplay writing and other respected members are from industry or pass out candidates or alumni. These people are to judge you, your writing, your way of thinking. They are simply fabulous. Because, till the end of the process, you will unable to know their perception regarding you and the criteria for selection of candidates. Simply great! Ok we were at group discussion. So, a group goes in front of panel and you have discuss with them regarding a topic told by them. The topic may the movie you watched, an event, a question in written test. Anything! Your mind should be present, that enough! This is just to share your view, your way of thinking regarding a subject. That’s it. Final stage in orientation is personal interaction with the panel. You have to go individually in front of panel. What happens there? They just ask you some questions. Like what you like, what kind of movies you watch, do you read books, tell about that, tell a story written by you………. They can ask anything regarding this…. You have to speak truth…. They analyze your written things in answer paper. Such things that explore you in front of them!!!!! That’s over…. This is similar like personal interaction with panel in orientation stage. But the people or panel is different. Here also, respected persons from industry, writers, directors, editors, HOD of the department and dean of the institute. This will be like a press conference of yours. You have to answer the questions asked by them. But difference is that, these are gentlemen/gentlewomen who ask questions one by one and kindly or politely. Nothing to worry. Here also they ask simple questions. Whats your educational qualification, where are you from, why FTII, tell something about you, what you did, narrate us any story written by you, why you like writing…. The field and the place is professional but it is a field of artists, creative people. Here, nothing is like your ordinary interviews and exams where you need to go with lot of preparation on different topics. In FTII, you should be with youself and your ideas… that’s it! Go with free and open mind. Talk politely but clearly. If you are honest, if you deserve then you will be definitely selected. Forget about all other things. Note: You need not go in formal dress but, you should be well dressed. Staying facility is good. You will get free ‘tea’ during orientation; don’t expect more than that. You can talk in either Hindi or English; while majority staff and working people is Marathi. But language doesn’t matter… FTII campus is ‘cool’ area. It is not like any other colleges or universities or institute. It is having smell and spark of creativity. आपण आपलं भाग्य समजलं पाहिजे की एफटीआयआय सारखी संस्था आपल्या महाराष्ट्रात आहे. त्यात प्रवेश मिळवणं अवघड असलं तरी ती ह्या क्षेत्रात येणार्यां मराठी तरुणांनी त्यात प्रवेश घेण्याचं स्वप्न बघायला पाहिजे. येथे न शिकताही मोठे होणारे दर्जेदार कलाकृती देणारे आहेत, येथे शिकूनही यशस्वी न होऊ शकणारेही बरेच आहेत. याचा मेळ कधीच बसत नसतो. कपाळावरील चार आठयांच्या मध्ये असलेल्या नशिबाने, मनगटातील उर्जेने, मनातील उर्मीने अन मेंदूच्या कर्तुत्वाने तुम्ही सिद्ध होत असता. क्षेत्र कुठलही निवडा चिकाटी अन श्रद्धा पाहिजे. असो. भाषण नको. वर रामायण इंग्लिश मध्ये सांगितलं आहे त्याला मराठीत पुन्हा कधीतरी व्यक्त करीनच. विशेष म्हणजे एफटीआयआय मध्ये भाषेची बंधने नाहीत. तुम्ही इंग्लिश किंवा हिन्दी भाषेचा वापर करू शकता. स्टाफ बहुतांश मराठी आहे, पण विद्यार्थी अन शिकवणारी काही मंडळी इतर भाषिक असल्याने सगळ्यांसमोर हिन्दी किंवा इंग्लिश भाषा वापरा. ह्या कलेच्या दालनात प्रांत, भाषा, धर्म, लिंग वगैरे गौण आहे. सगळे कलेचे उपासक आहेत. बाकी, मायबोली झिंदाबाद! तुम्ही तुमच्यासोबत असा म्हणजे झालं. सगळं ठीक होतं.